The Town of Froid provides park facilities to accommodate the needs and interests of local residents and visitors. Whether you enjoy getting together for a baseball or softball game, want to simply enjoy the nature around you, or want to take your children or grandhcildren to a playground, the Town of Froid is the place for you. 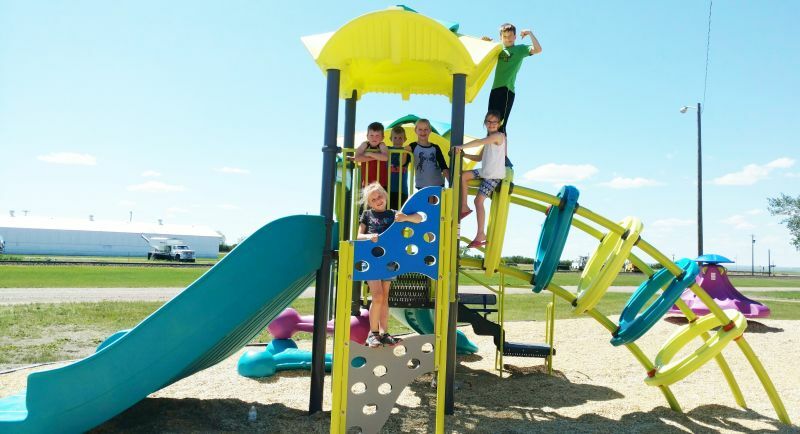 The Northern Lights Park fundraising group along with the GIA have worked hard to build a new playground for the Town to enjoy, relying on contributions from generous donors. This is a wonderful addition to our beautiful community and has been placed just north of the Froid Community Center.